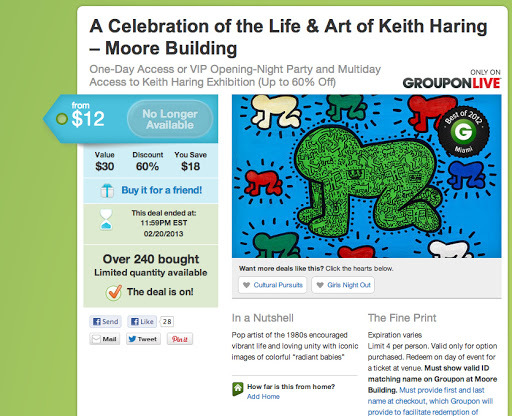 Keith Haring Foundation v. Colored Thumb Corp.
Groupon offering a discount on the Miami Show. Just last year, Keith Haring Foundation (the “Foundation”) announced its plans to disband its authentication committee either as a cost cutting or a self-preservation measure. Apparently they deemed one too many works as not by Keith Haring and drew ire from collectors. Now in a more lucrative move, the Foundation is making headlines alleging willful trademark infringement, copyright infringement and other dubious behavior by Florida residents, Michael Rosen and Colored Thumb Corporation because they organized an art fair Haring Miami (www.haringmiami.com). “2. The Haring Foundation is the successor-in-interest to and owner of the intellectual property of Keith Haring, the world famous artist. The Haring Foundation’s mission is to sustain, expand, and protect the legacy of Keith Haring, his art, and his ideals. The Haring Foundation supports not-for-profit organizations that assist children, as well as organizations involved in education, research, and care related to AIDS. Despite his death in 1990, artwork by Keith Haring continues to be in high demand, and The Haring Foundation has an active licensing program. There is also a strong market for Keith Haring’s original works, which sell for very significant sums (depending on the size of the work, the medium, and other factors). To protect collectors and its own interests, the Foundation is seeking punitive damages, profits from all wrongful acts, attorney fees, transfer of the http://www.haringmiami.com domain name to the Foundation as well as injunctions galore against using, advertising, selling, displaying, reproducing, transmitting and much more any works not created but labeled as by Keith Haring. 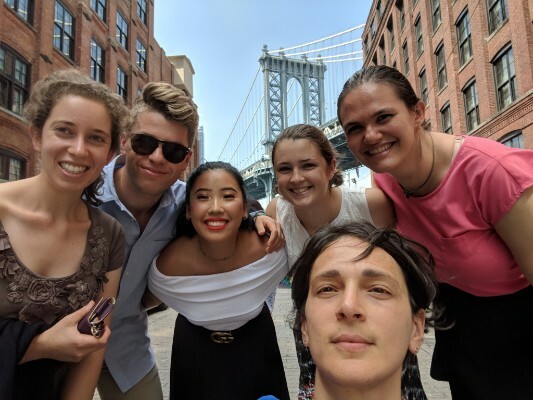 Attorneys representing the Foundation are with Proskauer Rose LLP. Sources: Complaint in Keith Haring Foundation v. Colored Thumb Corp., 1:13-cv-20830-xxxx; Justia.com. Previous Previous post: FBI with New Information on the 1990 Gardner Museum Heist?